Based on the latest supercapacitor technology combined with proprietary intelligent control and monitoring, Powerbox’s ‘S-CAP BOOST’ technology offers a solution to equipment manufacturers requiring high energy peaks for short periods or emergency backup purposes in applications where due to safety regulations, Lithium Ion or acid batteries are not allowed. Critical applications operating in hostile or confined environments are strictly regulated in terms of chemical and other hazardous risks, reducing or forbidding certain type of batteries such as Lithium Ion. For safety reasons, those applications must have a power backup long enough to run alarms and safety shutdown processes. In such arduous conditions conventional batteries are replaced by supercapacitor banks whose values could be from few Farads to 200 Farads for general applications, but up to container size in the case of large systems. Depending on the application, S-CAP BOOST can be configured to charge and monitor supercapacitor banks to work as UPS units, delivering backup power to allow safety operations to take place before shutdown, or delivering high peak power for a short period without disturbing the main source or discharging/damaging the system battery in applications such as laser, electric motor booster or X-ray emission element. S-CAP BOOST technology tightly controls vital parameters, from a single 2.8V cell supercapacitor to a wide range of assemblies delivering a specific voltage and energy required for a given application. One example of a product built using Powerbox’s S-CAP BOOST technology is a 2500W backup unit developed for an industrial process-control computer installed in a very restricted area. Housed in a 19 inch 2U chassis, the 29F-54V-60A unit integrates 22 supercapacitors totaling 29 Farads and has a capacity of 2500W during 5 seconds at full load and 30 seconds at half-load. To optimize the cells charge, the 29F-54V-60A integrates a DC/DC converter with current control, guaranteeing the supercapacitors are properly charged to deliver full power when required. The unit includes active charging cells control with load balancing, cell health monitoring and alarms. Alarms signals including Vcell-high, Vcell-low, Vcell-zero and temperature are available via a physical interface, with digital control and monitoring being an alternative option. Compared to Lithium Ion which has a cyclability (number of recharges) of 500 to 1,000, supercapacitors can sustain from 500,000 to 20,000,000 cycles, making that technology extremely relevant for applications requiring large amounts of charge /discharge cycles with high energy such as industrial or medical lasers. This is what S-CAP BOOST technology has been developed for, very tight control of the supercapacitors’ charge in order to optimize the energy stored between each cycle, with very high levels of safety and reliability. 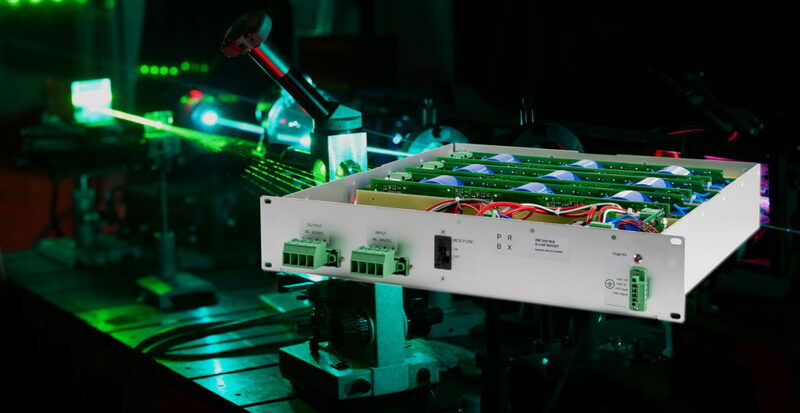 The number of applications requiring emergency backup or high peak current are growing, and integrating supercapacitors within power supplies is becoming an extremely reliable and well suited option to be considered by system architects. Accordingly, Powerbox’s S-CAP BOOST is a great platform for the future and an impressive number of applications for supercapacitor energy storage technology – not only for use in electrical vehicles – are foreseen.